Ready for a wild ride? 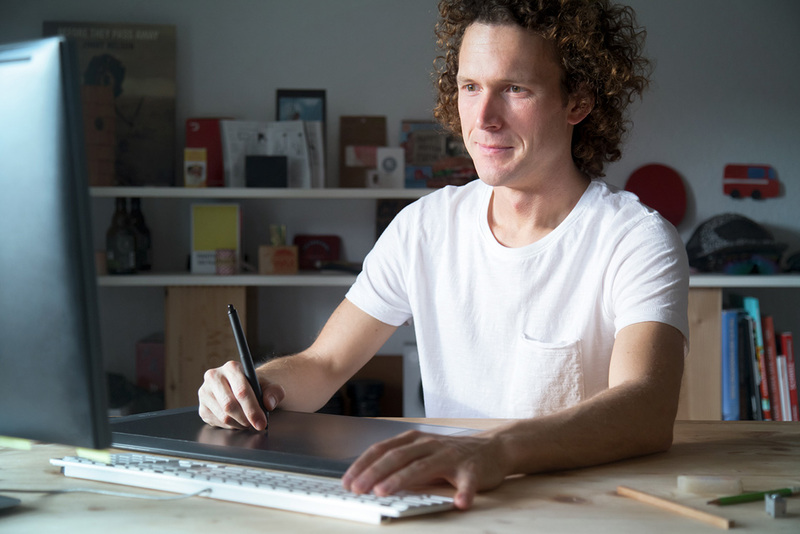 With his new exhibition at the M.A.D.Gallery in Geneva, Swiss artist Frédéric Müller hits the road with iconic cars and wild animals: “Rides of the Wild” is a collection of eight digital images by this young and talented artist with an extraordinarily creative mind. 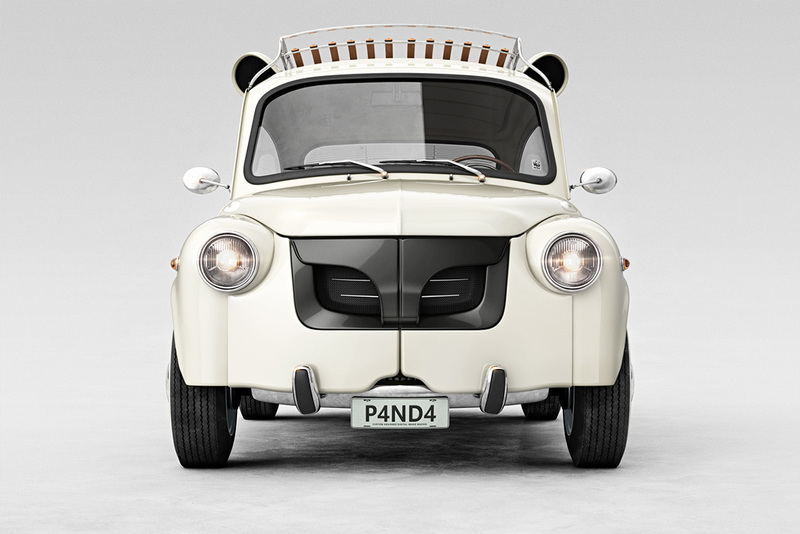 Müller brings his imagination to life using his mastery of 3D art to morph classic cars into complementary transport for animals of the wild that include a lion, a hippo, an alligator and a panda – each one paired to its perfectly matching car. 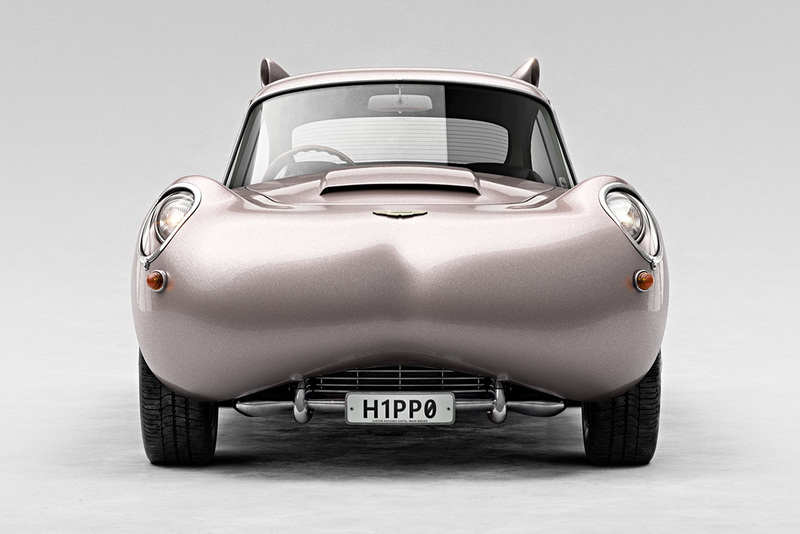 The sweeping, steel grey curves of a 1963 Aston Martin DB5 perfectly pair with the silhouette of a hippopotamus. 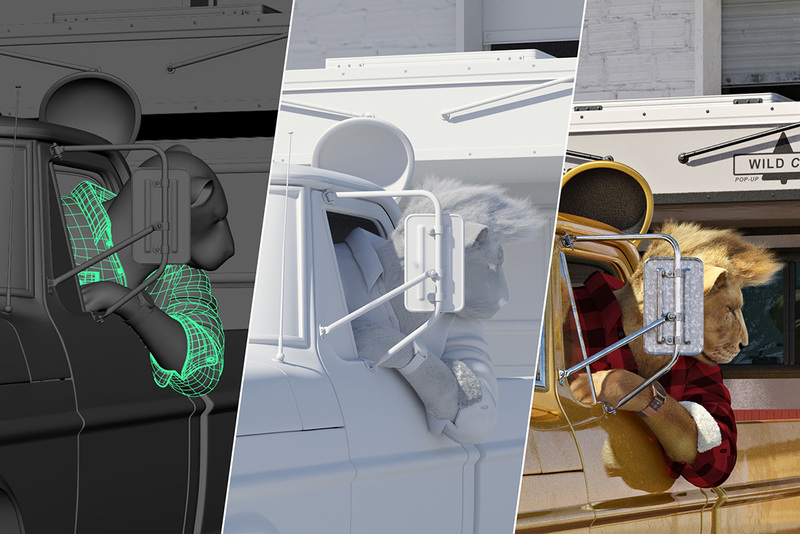 Pushing the likeness further is a pair of “ears” placed on the roof of the vehicle and the ‘H1PP0’ license plate. 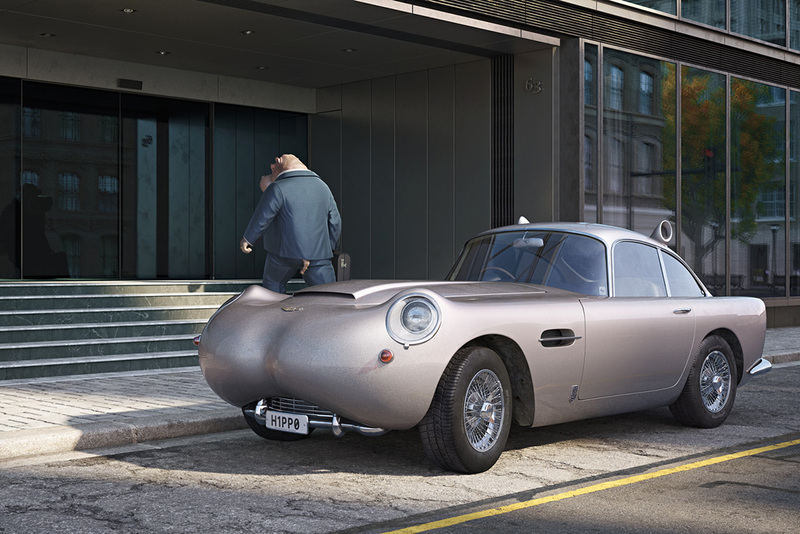 Clients can choose between a print showing a head-on view of the hippo-inspired Aston Martin or a scene with the suited-up hippo owner heading from his car into the office. A lion behind the wheel of a transformed Ford F-250 with a pop-up camper in tow is just the thing. 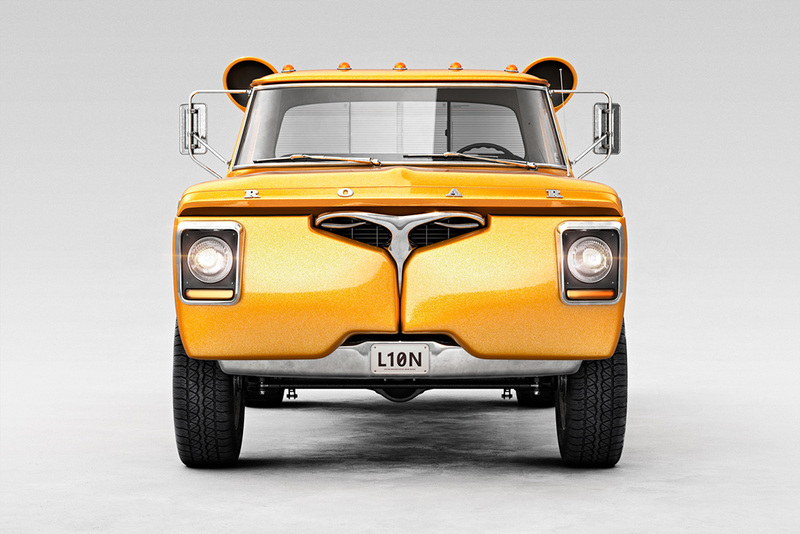 The 1967 pickup truck takes on feline features with a grille like a lion’s nose, a cab trimmed with “ears” and fur-coloured paint. Müller, a perfectionist when it comes to details, puts a ‘ROAR’ logo across the truck’s hood (instead of ‘FORD’) and completes the license plate with ‘L10N’. 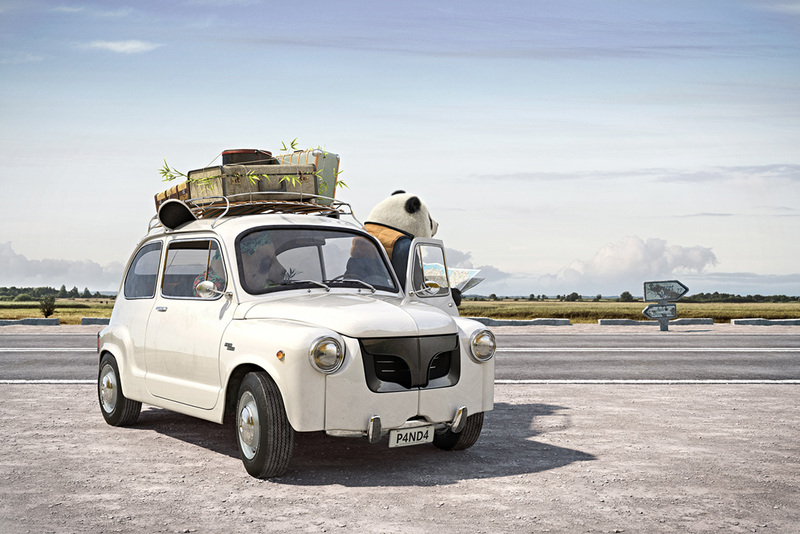 At the other end of the horsepower spectrum, a 1977 Fiat 600S doubles as a panda bear with black and white elements including a nose on the grille and ears peeking out from under the luggage rack. In Müller’s second panda-themed artwork, a globetrotting bear couple embark on a road trip. Appearing lost, the driver holds a map while staring at illegible road signs. The license plate is – you guessed it – customized with ‘P4ND4’. 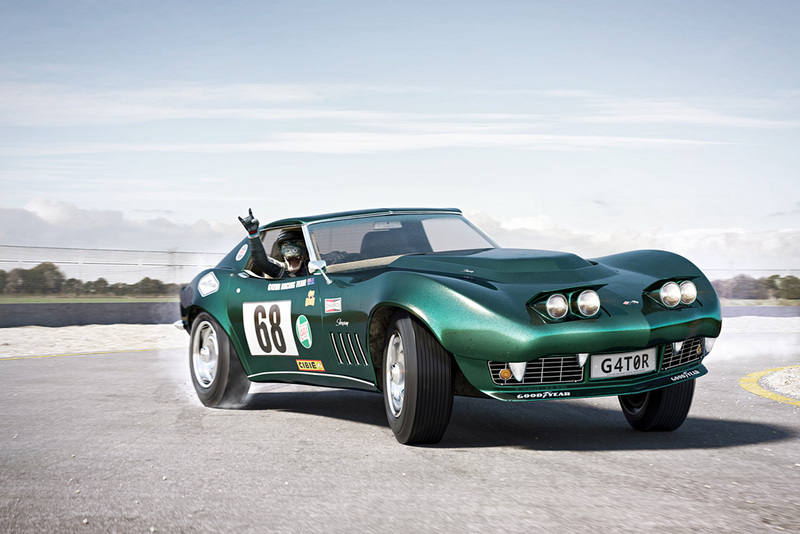 Finally, a thrill-seeking alligator behind the wheel of a 1968 Chevrolet Corvette Stingray races around a corner at breakneck speed: the reptile’s car sports an elongated hood (similar to an alligator snout) and pointy teeth framing the ‘G4T0R’ plate on the grille. 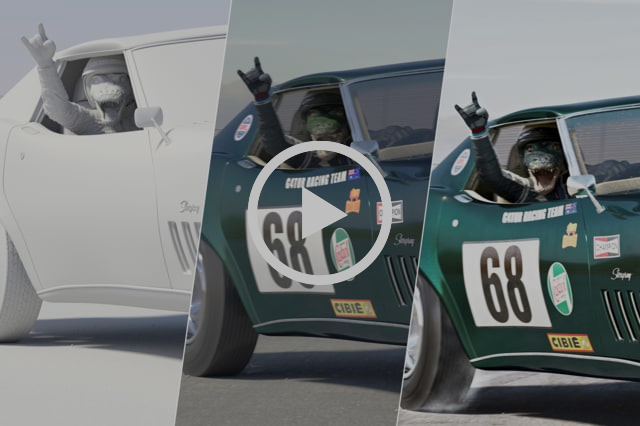 The emerald colour of the classic car coordinates with the creature hanging out the window having the time of his life. As mentioned, each of these hybrid cars comes in either a frontend view or a coordinated setting with matching animal driver. Each image is available in two sizes, 128 x 90 cm and 70 x 50 cm including white margin, limited to eight prints and one artist edition per size. Can’t decide? 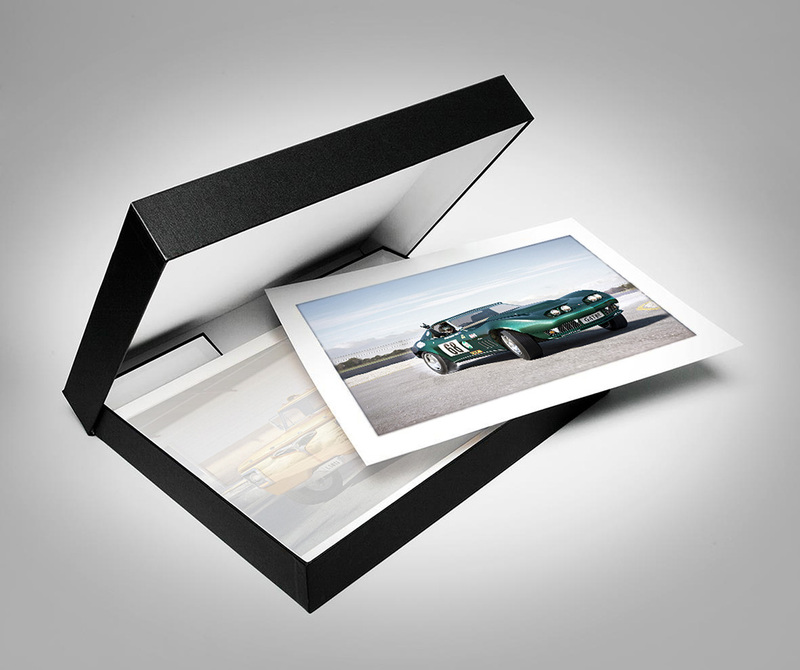 Go for all eight images: 18 collector boxes of 51 x 41 cm prints with white margin are also available. 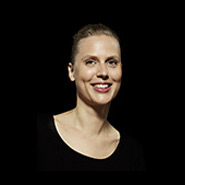 Click here to download the pricelist of the exhibition. For more info on this wild series, don't hesitate to contact us at info@madgallery.ch. Geneva isn’t in your travel plans? Stay in touch with the latest happenings at the MB&F M.A.D.Gallery online and via our Facebook and Instagram (@mbfmadgallery) accounts.